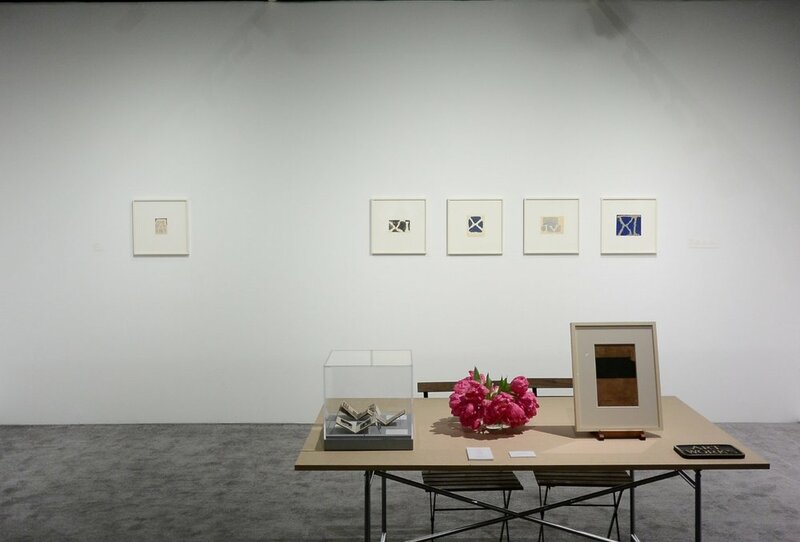 Lawrence Markey is pleased to present a group of paintings on paper by James Bishop at the 2018 ADAA Art Show. These works, oils on paper selected by the artist to be shown together, range in date from 1963-64 to 2017. 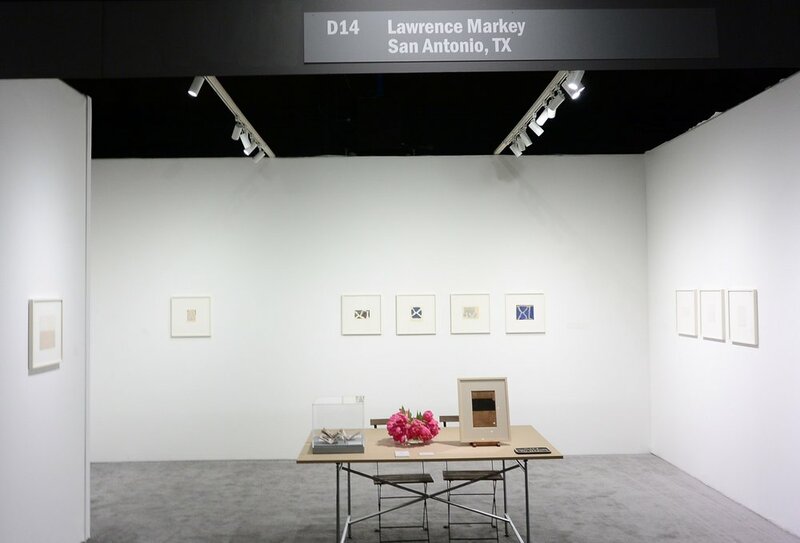 Lawrence Markey has exhibited James Bishop’s work at the gallery, first in New York and later in San Antonio, since 1997. James Bishop was born in Neosho, Missouri in 1927. His academic training took him from Syracuse University to Washington University in St. Louis, then to Black Mountain College and Columbia University, New York. In 1957 Bishop decamped to Europe, traveling and absorbing art in Paris and in Italy before settling permanently in Blévy, France in 1958. Bishop has cited influence from European masters including Matisse, Cézanne and Morandi, as well as painters of the Italian Renaissance (Lorenzo Lotto is a particular favorite). Bishop is renowned for his larger-square format, atmospheric, color saturated, and vaguely structural-oils on canvas. However, Bishop’s practice (now in its sixth decade) has always maintained a symbiosis with works on paper. By the late 1980’s Bishop began to set his focus entirely on small scale, quixotic, explorations on paper. References to architecture, amorphous geometric structures, roman numerals and the natural world, distinguish James Bishop’s oeuvre. Within a restricted format - paper works rarely exceed 8 x 8 inches, with some as small as 4 x 3 inches - color, light and line achieve a startling presence; an evocative paradox of material restraint and spacial monumentality. Bishop’s work invites the viewer to slow down and to view closely. To request more information or images, please contact (210) 228-9966 or info@lawrencemarkey.com.